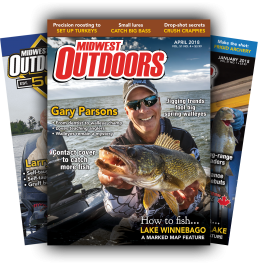 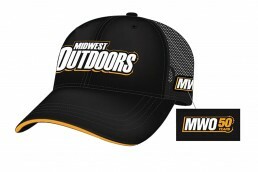 The cap features a woven appliqué logo, and embroidered MidWest Outdoors logo, with a red “sandwich strip” in the visor. Two-piece velcro strap for adjustable fit. 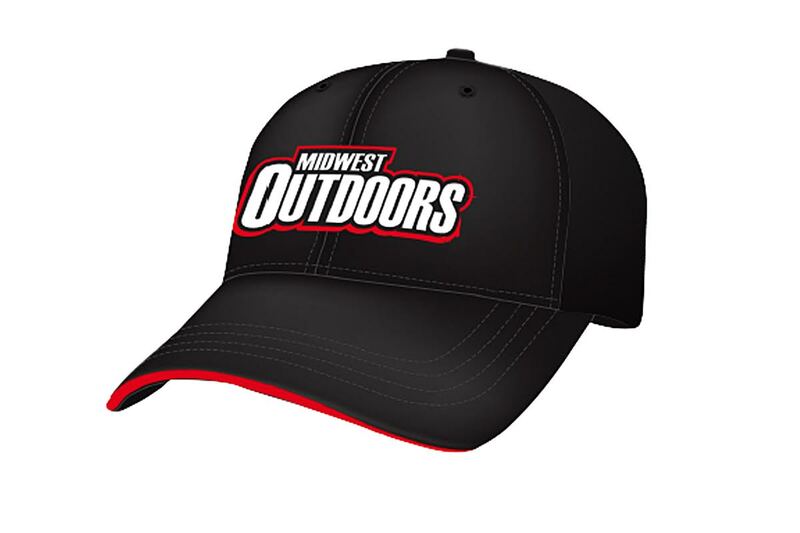 The perfect fishing hat.